I chose the WWF Panda logo as an interesting example of positive and negative space. It is quite obvious to the normal eye that the shapes form a panda, but if you actually look at the image it is really just a few black blobs. A panda is really the perfect logo for positive and negative space, because the human brain has been trained to put together the white and black whenever we see one. WWF is an organization committed to saving endangered species and preserving our planet’s condition. 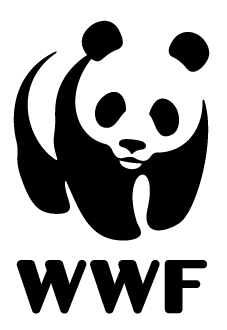 The first WWF panda logo was designed by Sir Peter Scott, in 1961.